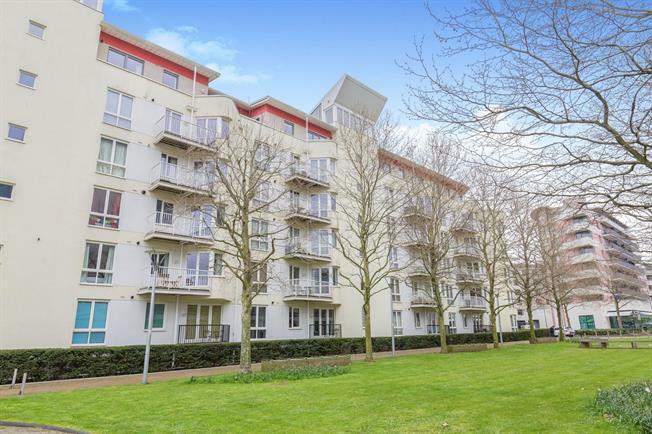 2 Bedroom Flat For Sale in Bristol for Asking Price £375,000. Fantastic two bedroom apartment in the iconic Crescent building, built by Crest Nicholson. Offered in brilliant decorative order throughout and with a recently refitted Magnet kitchen with quartz work surfaces, pull out extendable work surface and a selection of integrated AEG and Hotpoint appliances. The apartments internal accommodation briefly comprises two double bedrooms, master with en-suite, family bathroom, ample in-built storage, an open plan living area which opens into a fully fitted kitchen. A balcony is accessed via the lounge and benefits from views over the harbour. The property also benefits from un-allocated off road parking and communal gardens.